The Australian Magpie is a medium-sized passerine bird native to Australia and Southern New Guinea. This is the most highly-regarded songbird of the continent of Australia with a very old history. Despite their occasional aggressive nature, and lack of shyness, they have been popular with the suburban farmers and gardeners, and even the common people, for their beautiful carolling song, and appetite for insect pests, making them significantly contribute to the ecology. 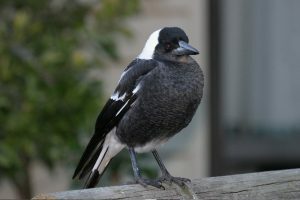 Though they have similarity in features with the crow, the Australian Magpies are most closely related to the black butcherbird. 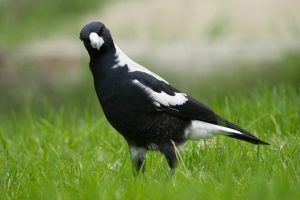 Also, despite similarity in names, they have no genetic connection with the European magpie, which, unlike the Australian Magpie, is a corvid. Size: The length of these birds is 37 to 43 cm (14.5–17 in) with a wingspan of 65–85 cm (26–33 in). Weight: These magpies weigh between 220 and 350 grams (8–12 oz). Plumage/Feather Colors: The black and white feather is one of their prime characteristics, though the pattern differs across its range. In the males, the shoulder, nape, and upper tail are white, whereas they are dull to grey in the females (marking their gender differences or, sexual dimorphism). The rest of the body is black. In the extreme south-west, south-east, central Australia, and in Tasmania, the rump part and the back are completely white. Feet: Feet are clawed, and can grab hold the prey firmly. Eyes: The eyes are chestnut brown to reddish, and are bead-like, with the visibly black cornea in the middle. Beak: The bills are blue-grey and somewhat wedge-shaped and strong, which assist the bird in gripping the prey. Legs: The legs are completely black. The life expectancy of the Australian magpie is normally up to 25 years. However, the recorded longevity is 30 years. The Australian magpie is found in southern New Guinea’s Trans-Fly region, between the Princess Mariane Strait and the Oriomo River, and across most parts of the continent of Australia. White-backed forms are found on both the North and eastern South Island, and the black-backed birds are found in the Hawke’s Bay region. 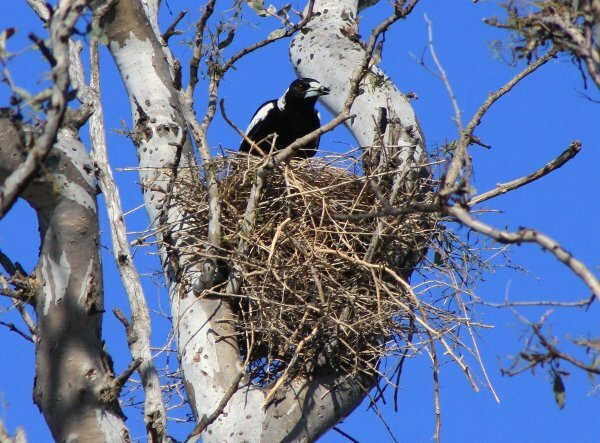 Australian Magpies are spread across areas, wherever they find a combination of tress along with adjacent open areas, which includes playing fields, parks, etc. However, these birds avoid the regions covered by densest vegetation or forests, and even the arid regions of the deserts. 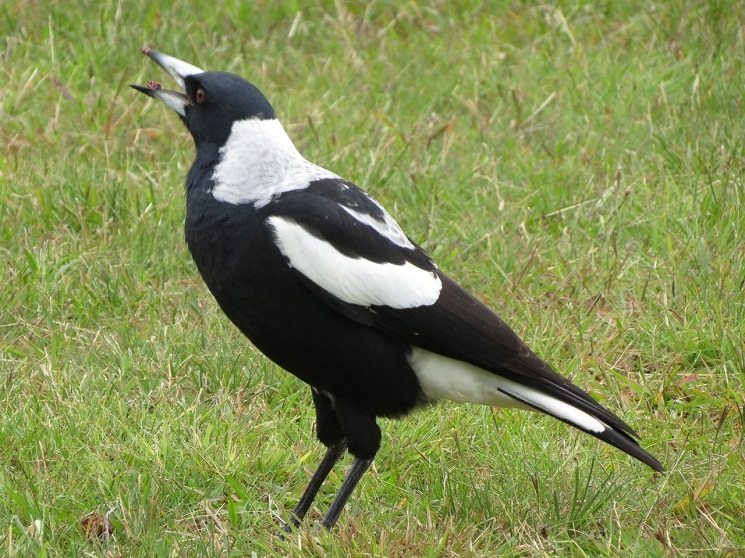 Australian Magpies are exclusively diurnal, and are heard carolling in the morning. They have a complex social structure, and would usually move around in flocks. Though the group can just consist of a pair, or a small family, it might as well reach up to 20 members or more. These birds have a considerable level of intelligence, and will form groups and spend a lot of time smartly defending their territories. Defending a common territory from other groups of magpies is their primary intention. These birds are often seen sitting on the boundary of two territories of two groups, with the birds from one group claiming rights of one side, while the other, the other side. However, the birds would never cross the sides. The individuals in the groups vary by their ranges. Some groups (like those from New Zealand) usually consist of single pairs, or else might pair with the young from the previous brood. Other groups are made of an indefinite number of adults, some of which could be the offspring from previous groups that have been allowed to stay. A magpie in solitude will emit a quiet musical warble that cannot be heard from a distance. The babies and young ones would emit continuous high-pitched short begging noises when hungry. When threatened or distressed, they would give out a series of high-pitched alarm calls. As they successfully defend their turfs, they will burst into song (known as ‘carolling’). 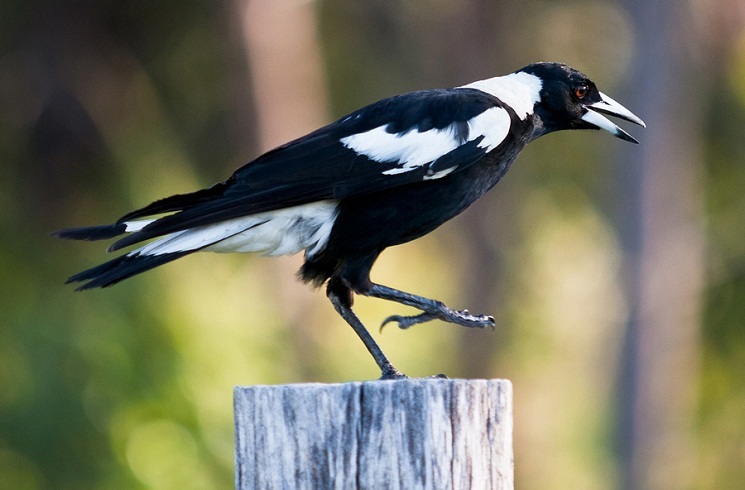 The Australian Magpie is omnivorous, and is essentially a butcher bird that feeds and forages on the ground level. They feast upon invertebrates like snails, spiders, earthworms, millipedes, scorpions, and insects including beetles, moths, caterpillars, cockroaches, ants, and larvae. They are able to capture insects like grasshoppers midair. They also consume bigger animals like frogs, skinks, mice, etc. Non-animal diets include figs, walnuts, grain, tubers, etc. These birds would also consume human left-overs. 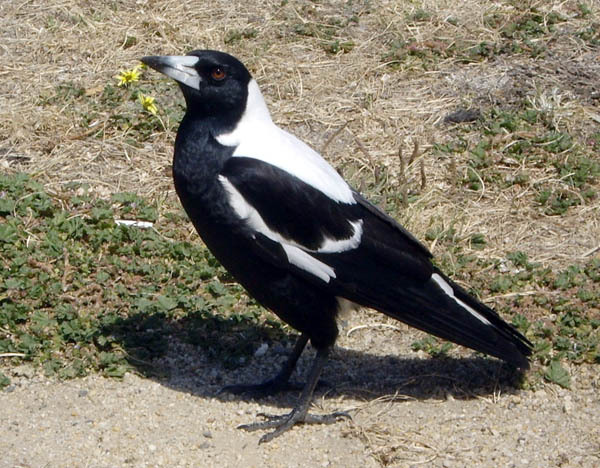 Australian magpies favor sunflower seeds over other seeds. Other than the sunflower, they will be eating any other seeds just for their fiber content, and later emit them out by regurgitation. 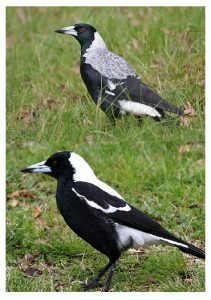 This is a part of their eating habits, and has been studied in pet/domesticated magpies. The nesting season of these birds is between August and October. 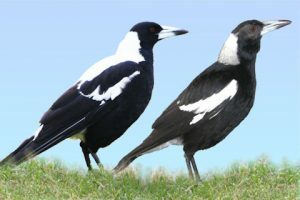 The Australian Magpies are monogamous, and would mate and breed in their respective territories that they defend against predators and other groups of magpies. 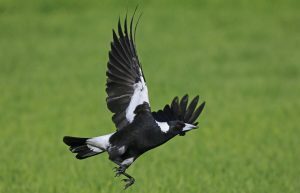 However, researchers say, the breeding habits of these magpies are gradually changing due to the effects of climate change. 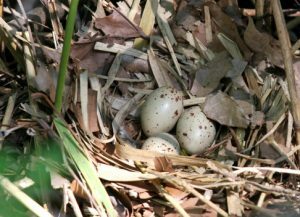 The female usually does all the works including selecting the nest site within the territory, gathering nesting materials and building the nest, laying and incubating the eggs. The nest of these birds is a platform of twigs, sticks, wires, etc. The bowl-like interior is lined with hair and grass to keep it soft. They build their nests at up to 15 meters above the ground in the outer branches of trees. Mostly, a single female breeds successfully. They would lay 1 to 6 eggs per clutch that takes around 3 weeks for incubation. However, some fledglings would die within the few first months from birth because of lack of food, unfavorable weather conditions, natural predators, road traffic hazards, etc. The females would also feed the young birds, once they are hatched. 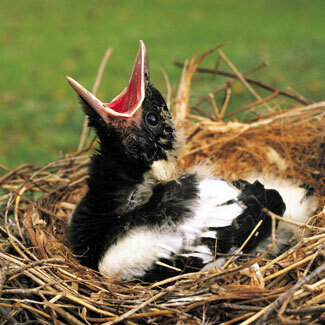 The hatchlings are fed by the birds in the nests for almost 4 weeks. However, within 2 years, the parents force the juveniles to leave the territory. The young birds would then join a new group which can count up to more than 80 members of adolescents and evicted juveniles. Sooner or later, they eventually manage to get a place in some new territory and grow up to adult breeding birds. 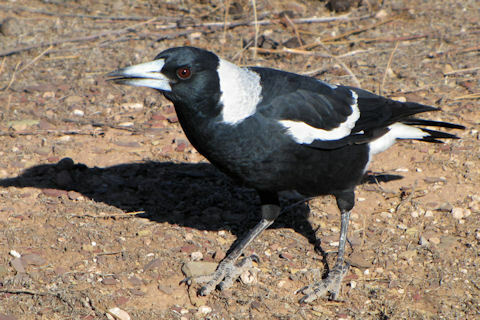 The Aussie Magpie has the ability to safely eat poisonous things like the cane toad. They catch these toads, flip them over and consume the under-parts. This bird are good at mimicry, and can mimic the voices of over 35 species of native and introduced birds, and even those of other animals like horses and dogs. These birds can talk. When they live in close proximity to humans, they have been noted imitating human speech. The natural enemies of these birds include the barking owl, and quite a few species of monitor lizards. The Australian ravens often attack the nestlings that have been left unattended. The magpies are also killed on roads, or are electrocuted by power lines. They also get poisoned after consuming mice, house sparrows, rabbits, rats, etc., which are targeted with baiting. These birds are infamous for their typical attack on humans (and even other animals) that happen to enter their territories, especially during breeding seasons. 99% of these attacks are done by the male birds that guard their nests. The attacking season usually lasts for 4 to 6 weeks, until the chicks fledge, during which time these birds are extremely aggressive. However, during other times of the year, they usually stay calm. During attack, these birds would mostly strike on the head of the victim with their beaks and claws. This aggressive behavior is mainly induced by the fact that, the Australian Magpies would consider the passersby as ‘invaders’ to their breeding territories. The Australian Magpie is not a threatened/endangered species, and their population is considerably static. The IUCN 3.1 has categorized them under the ‘LC’ (Least Concern) species list. When they move on the ground, the Australian magpies do not hop, but moves around by walking, making it the only member of the Artamidae family to do so. There are a few viral diseases that specifically affect the Magpies. ‘Magpie pox’ is caused by a pox virus, which is specific only to the Australian magpies. 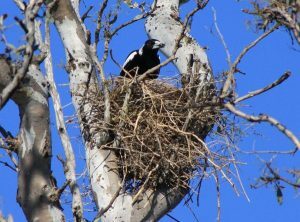 In Australian aboriginal lore, the symbolism and occult meaning of the magpie is associated to ‘motherly love’, ‘protection’, and ‘provision’. These birds are called in many other names including ‘flute bird’, ‘makipae’, or just ‘magpie’, locally. The uncommon alternative name ‘Flute Bird’ has originated from its loud flute-like song, often performed as a duet during communication. This is very informing. I really enjoyed reading these facts, I strongly recommend this. It is very helpful, as I am visiting Australia for a week or so. Thanks for the advice! Thanks for info on what to feed them. They fly to me each morning as I go for my walk and now understand their diet.